Any business can work and be successful without applying any kind of business process management solution and all the tasks can still be completed. You can use emails and spreadsheets or other easy tools which will definitely works, but will it be efficient enough? Not sure. Process management is extremely useful for automating recurring tasks, modelling the workflows of the business process and setting assignees and alerts. That way everyone will always know what they’re expected to do, information is clearly documented and centralised in just one place and you make less mistakes. 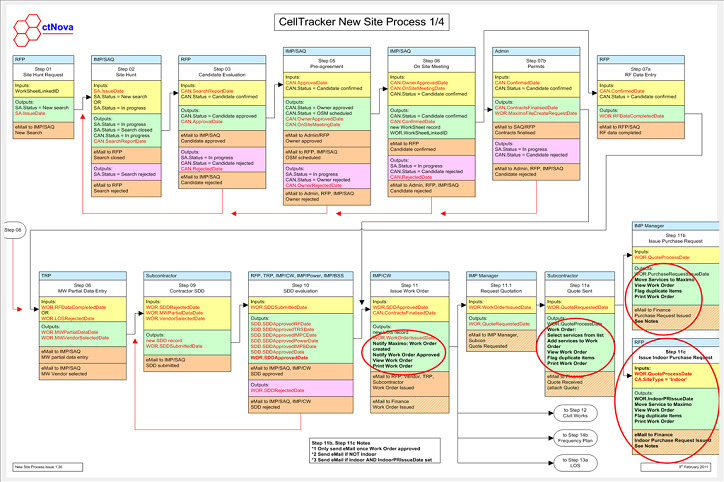 CellTracker is a flexible, multilingual solution that is totally configurable to your requirements to support your process management, meet your business processes and management of your data including text, drawings, pictures and maps. The implementation of the CellTracker system will be realised as a set of consultancy services. This ensures that the system will exactly do what you want, not what we want. In 2014, ctNova and FlexiTon celebrated eight years of partnership and announced the creation of a new worldwide CellTracker Centre of Excellence (CCE), based in Budapest, Hungary. Since then, all new CellTracker projects are managed by the CCE. ctNova will continue to provide technical expertise and second line support to the Centre of Excellence, as well as developing new features in collaboration with FlexiTon. The CCE will provide customisation, system integration, data migration and other project services for CellTracker turn-key projects. From 1st October 2018 CCE will take over CellTracker Support, License Upgrades and Implementation of Change Requests.